Our re-branded Teatime Concert was a huge hit on Wednesday night! 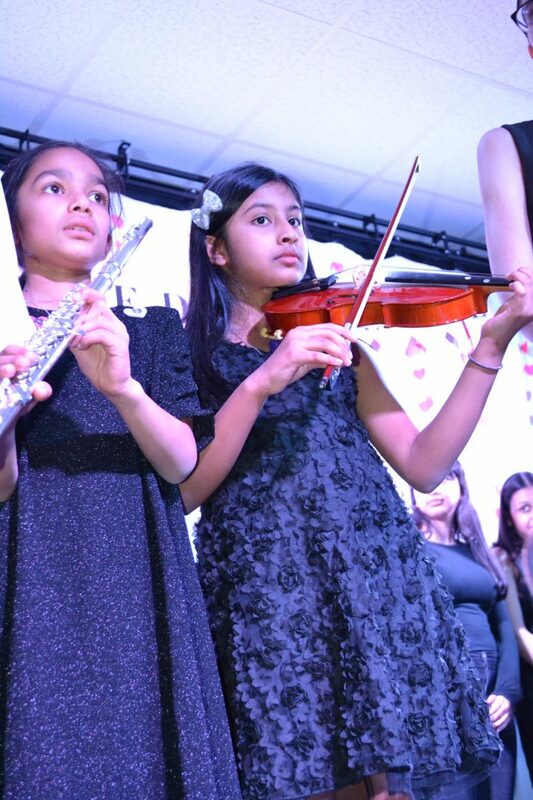 It was wonderful to see pupils from across the school, from our youngest in Reception to our more experienced performers in Seniors, take to the stage together to showcase their talents in music, drama, performing arts and elocution. Aptly titled, ‘Valentine’s Concert’, visitors enjoyed a lovely afternoon tea whilst enjoying the show. We were guided on our musical journey by presenters Om, Tanaya and Veer. The show had it all, from solo to group performances, as well as instrumental pieces and even an act from Shakespeare’s Romeo & Juliet. Thank you to everyone who came along to support the event, and we’re sure you’ll agree, love is all we need!